 Leadercast: Leading Healthy Teams Building B, Cottonwood Church 4505 Katella Ave. This year’s theme is Leading Healthy Teams, and Cottonwood will be hosting a simulcast in Bldg. B.
Click the “Learn More” button to find out more information and register. Ticket includes coffee, a brochure, and lunch, with a lunch-time speaker and panel discussion. Tripp Crosby puts smiles on the faces of millions as a comedic host, inspirational speaker, and content creator. He’s, of course, most widely known as the taller half of Tripp and Tyler, a world-famous YouTube sketch comedy duo. Their sketches have amassed over 60 million views and made headlines on some of the world’s largest publications (Today Show, Huffington Post, Mashable, the home page of YouTube to name a few). You might be familiar with their most popular sketches A Conference Call in Real Life, Sh*t Nobody Says, or Things You Can’t Do When You’re Not in a pool. Or, maybe you don’t have the internet. In 2016 Tripp and Tyler created and appeared in four original sketches on the TruTV show Rachel Dratch’s Late Night Snack, and they are currently in development on their own Travel Show. Tripp’s career started behind the camera, and he continues to make his mark as influential director. in 2014 Tripp was selected by Satchi and Satchi as a member of the Cannes International Film Festival New Director Showcase for his work on A Conference Call in Real Life, and since he has continued to direct impactful commercials and various forms of branded content for major brands (Coke, Verizon, Canon). Tripp’s first feature length movie is currently in development, and he is working closely with the city of Atlanta to help foster the rapid growth of content creation business. Tripp’s production Company Green Tricycle Studios is now the branded arm of Thruline Entertainment, and they are currently working with major brands, top Hollywood Talent, and some of the most up-and-coming producers and directors to make compelling branded entertainment. If Tripp took his own advice, he’d focus exclusively on creating content, but his appearance on stage as a host or keynote speaker is constantly increasing in demand. 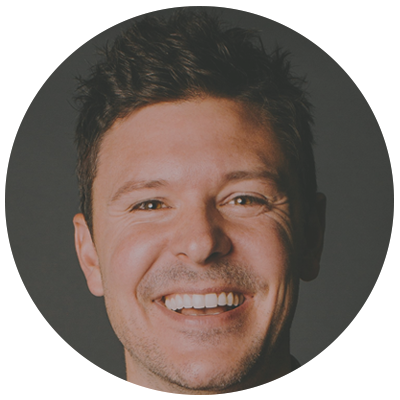 Tripp loves inspiring people to be happier, more productive, and more present in their professional lives, and he helps hundreds of thousands do so by teaching them how to take themselves a little less seriously. When not hosting, directing, writing, or acting Tripp is where he loves being the most: with his wife Hannah, his son, Miles, and his daughter, Neeva. Together they reside in Atlanta, GA.
Juliet regularly wows audiences as a high-impact, high-energy speaker. Yet her deeper mission is to show organizations how WhiteSpace® can change the negative patterns and behaviors that prevent them from achieving optimum results. Her clients include a number of Fortune 100 companies and span a wide array of industries, from financial services to technology, manufacturing to the military, and executive workshops to audiences as large as 7,000. 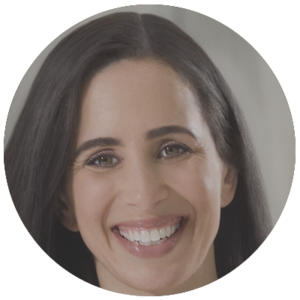 Juliet Funt is a force for change in organizations around the world, helping them find their WhiteSpace, recharge their people and reclaim their passion for work. 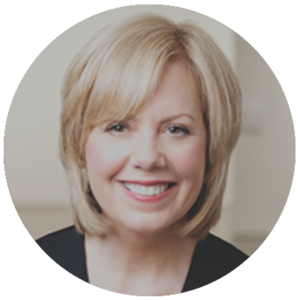 Ginger Hardage recently retired as Senior Vice President of Culture and Communications at Southwest Airlines after an illustrious 25 years, where she served as a member of the CEO’s executive leadership team. At Southwest (the nation’s largest airline), Ginger led a team of 150 people responsible for building and sustaining the organization’s legendary culture and communications enterprise. Recognized by many as a foremost global authority on building and sustaining organizational culture, Ginger was responsible for the activities that nourished the culture and the internal and external communications function. At Southwest, Ginger was a tireless ambassador of the world-famous Southwest Culture, leading to honors like 22 consecutive years on FORTUNE’s “Top 10 Most Admired Companies in the World” list. Most importantly, Ginger helped champion the values that have made Southwest a culture of enduring greatness – we put people first, we treat customers like family, we nurture our culture, and we try to change ahead of the times. In addition to leading Southwest’s “Best Place to Work” initiatives, Hardage led the airline’s culture and communications evolution, expanding the communication functions to include more robust internal communications capabilities and a more focused corporate philanthropy program. She also led the airline’s Culture Committee, employee recognition and engagement, and all companywide celebrations. 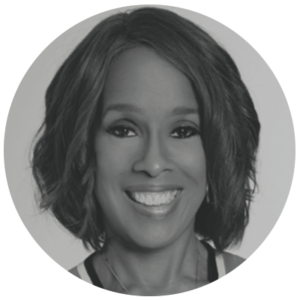 Throughout her career, Ginger has received countless awards and honors including the PRWeek Top 50 Power list, PRWeek 50 Most Powerful Women in Public Relations, Texas’ Most Powerful and Influential Women, and “Legendary Communicator” by Southern Methodist University in 2007. Ginger was inducted into the Public Relations Hall of Fame in 2015, received the Legacy Award from the Plank Center for Leadership in 2016, and was selected for the James C. Bowling Executive-In-Residence Lecture Series at the University of Kentucky in 2005. Ginger currently serves as a Trustee on two global boards—Ronald McDonald House Charities and the Arthur Page Society. 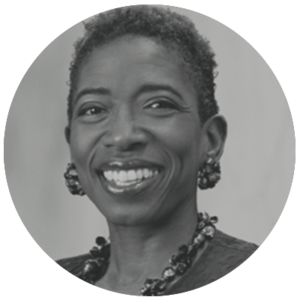 In Dallas, she serves on the board of The Trinity Park Conservancy, was recently President of the Trinity Commons Foundation, and is an advisory board member for the City of Dallas’ Center for Performance Excellence. Ginger previously served on advisory boards of Novartis in Basel, Switzerland; Business Civic Leadership Center, an affiliate of the U.S. Chamber of Commerce; Big Brothers and Sisters of Metropolitan Dallas; Southwest Cares; and the Council of Public Relations Firms. Before beginning her career at Southwest Airlines in 1990, Ginger held a variety of marketing and public relations positions at Maxus Energy Corporation, Diamond Shamrock Corporation, and Life Insurance Company of the Southwest. Ginger earned a B.A. in advertising/public relations from Texas Tech University and was recognized as an outstanding alumna by the College of Mass Communications at Texas Tech University. In 2017, Ginger launched Unstoppable Cultures, a brand designed to help organizations create and sustain cultures of enduring greatness. 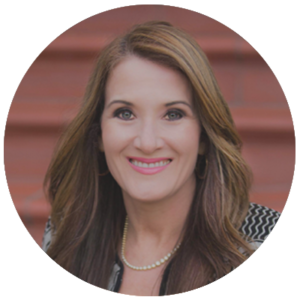 Ginger’s expertise and worldwide recognition is highly soughtafter as a consultant and speaker, and she has accepted engagements at organizations like Google and Princeton. Ginger lives in Dallas with her husband, Kelly, and has grown stepsons, Patrick and Ross. Dr. Caroline Leaf is a communication pathologist and cognitive neuroscientist with a Masters and PhD in Communication Pathology and a BSc Logopaedics, specializing in cognitive and metacognitive neuropsychology. Since the early 1980s she has researched the mind-brain connection, the nature of mental health and the formation of memory. She was one of the first in her field to study how the brain can change (neuroplasticity). During her years in clinical practice and her work with thousands of underprivileged teachers and students in her hometown of South Africa and in the USA, she developed her theory (called the Geodesic Information Processing theory) of how we think, build memory and learn, as well as tools and processes that have transformed the lives of individuals with Traumatic Brain Injury (TBI), chronic traumatic encephalopathy (CTE), learning disabilities (ADD, ADHD), autism, dementias, and mental ill-health. She has helped thousands of students and adults learn how to use their mind to detox and grow their brain and succeed in every area of their lives, including school, university and the workplace. to various audiences around the world. Dr Leaf is also involved in the global ECHO movement, which trains physicians worldwide on the mind-brain-body connection.She runs the “Integrated Mind Network”, which is a panel of top neurosurgeons, neurologists, MD’s, ob/gyn’s, endocrinologists, MD’s and neuroscientists that she consults and does research and clinical trials with. One of the Integrated Mind projects that she is currently running through her research foundation involves clinical trials using her mind techniques, which are been evaluated using various scales and QEEG technology. She is part of a mental health initiative in Washington DC. Dr. Leaf’s YouTube videos, podcasts, and TV episodes have reached millions globally. Her passion is to help people see the power of the mind to change the brain, and to see the link between science and spirituality through controlling their thoughts and emotions, learning how to think and learn, and finding their sense of purpose in life. Lencioni’s passion for organizations and teams is reflected in his writing, speaking and executive consulting. He is the author of eleven best-selling books with over five million copies sold. His capstone book, The Advantage, is the pre-eminent source on organizational health. After sixteen years in print, his classic book, The Five Dysfunctions of a Team, remains a weekly fixture on national best-seller lists. Released in 2016, The Ideal Team Player is a much-anticipated follow-up to his team book and also a Wall Street Journal bestseller. 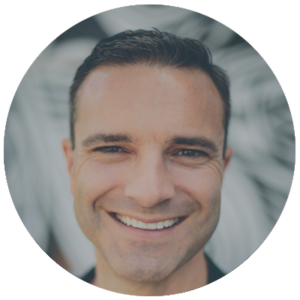 Craig has been a leader and pastor in influential churches in Chicago and Denver, one of which was named Outreach Magazine’s 2014 Fastest Growing Church in America. Craig lives in the Denver area and is a passionate hack at every mountain sport you can name. He has been married to Sarah for 18 years, has two, full-hearted children and one very spoiled beagle. 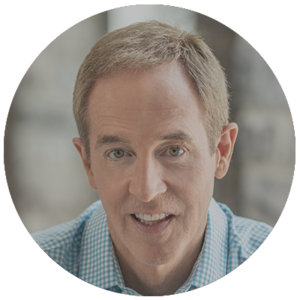 A powerful leadership communicator and best-selling author, Andy Stanley is considered one of the most influential speakers in America. He is the author of 20-plus books, including Deep & Wide; When Work & Family Collide; Visioneering; and Next Generation Leader. In the digital world, his success reaches well beyond the Atlanta area. Each month, nearly 1.5 million of his messages, leadership videos, and podcasts are accessed from North Point’s website. In 2012, Your Move with Andy Stanley premiered on NBC after Saturday Night Live, giving Andy an even wider audience with which to share his culturally relevant, practical insights for life and leadership. Currently, over six million episodes are viewed each month through television and podcast, underscoring his impact not only as a communicator but also as an influencer of culture. 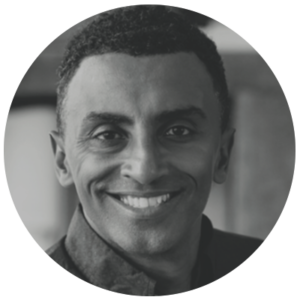 But nothing is as personal as his passion for engaging with live audiences, which he has pursued for over two decades, speaking at leadership events around the world. 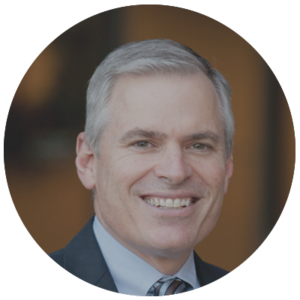 In high demand, he speaks to nearly 200,000 people at various annual events before audiences of both church and organizational leaders.